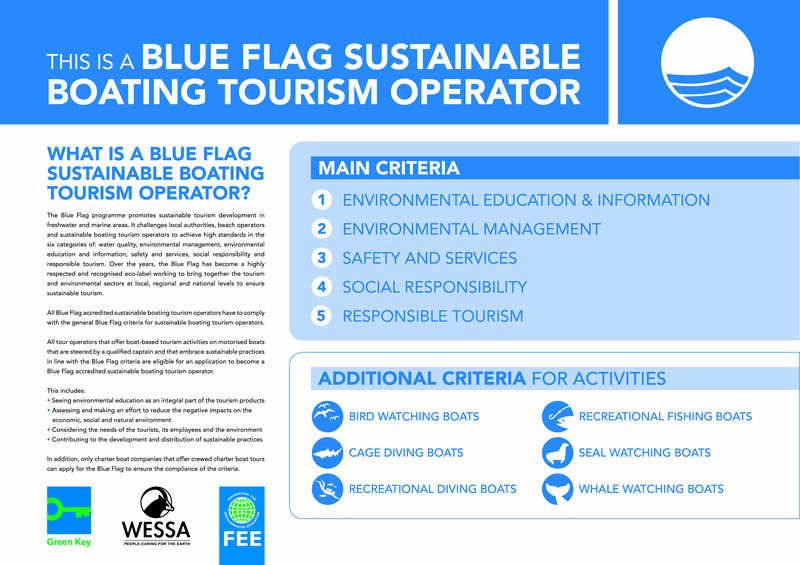 Southern Right Charters as a sustainable whale watching operator is proud to hoist the Blue Flag for this 2017/18 whale season. The International Blue Flag programme promotes sustainable tourism development in marine areas. The accreditation process is thorough covering excellence in various criteria such as Environmental Education, Responsible Tourism, Environmental Management, Safety & Services and Social Responsibility.